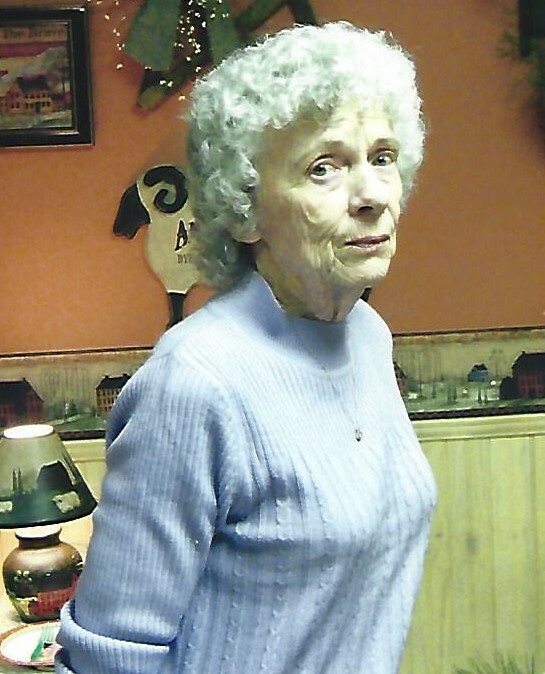 M. Jane Wagner, 91, of Oakland, MD, passed away on Thursday, September 13, 2018, at her home. Born December 17, 1926, in Old Town, MD, she was the daughter of the late Harvey Francis and Anna Elizabeth (Twigg) Nixon. She was also preceded in death by her husband, Claude Walton Wagner, Jr.; three sisters and five brothers. Jane attended Faith Evangelical Free Church. She worked for her granddaughter at Julie’s Greenhouse for over 20 years. Jane took care of her family and enjoyed spending time in her garden, tending to her flowers and cleaning. She is survived by two sons, Larry Walton (Debra) Wagner and Dale Clifton (Donna) Wagner, all of Oakland. three grandchildren, Jody (Liz) Wagner, Kendra (Ed) Thayer and Julie Wagner. Four great-grandchildren, John Wagner, Madison Thayer, Jessica Thayer and Cody Bolyard. Friends will be received at Newman Funeral Homes, P.A., 1100 Memorial Dr., Oakland, on Saturday from 2:00 to 4:00p.m. and from 6:00 to 8:00p.m. Services will be conducted in the funeral home chapel on Sunday, September 16, 2018, at 2:00 p.m. with Lance Rhodes officiating. Interment will be in Garrett County Memorial Gardens. Expressions of sympathy may be directed to Hospice of Garrett County, P.O. Box 271, Oakland, MD 21550 or to Tender Loving Care, 257 Oakland Dr., Oakland, MD 21550.